Check out our online directory to support local businesses right here in West Michigan! The world is a big place, but it doesn’t have to feel big. Sometimes, our global economy feels like a vast system that enforces a joyless sameness on everything, everywhere, all the time. Our lives seem less significant, our communities feel like merely places where our houses are located, and our neighbors are just people who live nearby. That hasn’t always meant a better life. We have more stuff, but less satisfaction. There are more restaurants and shops, but we see fewer friends in them. We have more to do and buy, but less time and money to do it. This sort of disconnection from the people around us is new in history, and it isn’t making us healthier or happier. But what if we calibrated our lives to a more human scale? What if we built communities in which local businesses and consumers connected and collaborated to make everyone healthier and happier, and to make their shared environment a more beautiful and livable place? A community in which all the stakeholders are mutually invested has structural integrity. Local First strives to build communities with integrity. It’s time to re-integrate our lives and reinvest in the people around us. 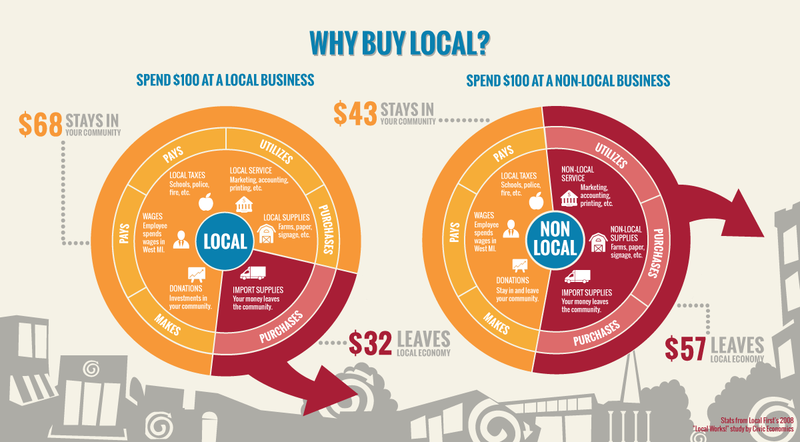 It’s time to put Local First. To find out more about why Local First, click here.